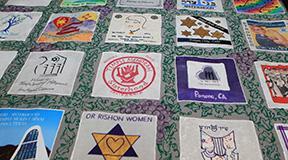 Our Sisterhood is a part of the Women of Reform Judaism (WRJ.) 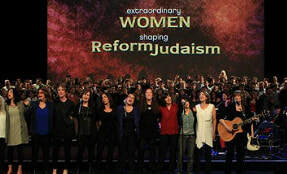 An international organization, founded in 1913 as the National Federation of Temple Sisterhoods, WRJ has an illustrious history promoting women leadership, working tirelessly toward a variety of social justice initiatives, and continuing to expand Progressive Judaism in North America and around the world. Click on the Women of Reform Judaism button to learn more about this amazing and productive organization. Within WRJ, TAS Sisterhood is part of the Pacific District. The Pacific district consists of 57 sisterhoods in the western states and provinces. It is the largest of WRJ's eight districts, both in terms of number of members and area covered. Two of our members are past-presidents of the Pacific District, and one member is an Area Director. Click on the WRJ Pacific District button to learn more about our District and what it does for us.